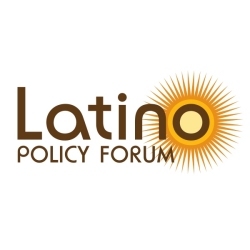 The Illinois Latino Agenda, the largest coalition of Latino-led nonprofits in the state, has released results from its 2015 Chicago Mayoral Candidate Questionnaire––a 14-question survey that asked candidates to respond to the following topics through a Latino-lens: governance; education; workforce and economic development; community safety; immigration; housing and health care. All five candidates for Mayor of Chicago responded––Rahm Emanuel, Bob Fioretti, Jesus “Chuy” Garcia, William “Dock” Walls and Willie Wilson––and laid out their vision of service to the city’s Latino community, which represents 29 percent of the City’s population. Access the questionnaire in English and Spanish. Candidate responses are complete and unedited. As a coalition of nonprofits, the Illinois Latino Agenda is not permitted to endorse candidates. Rather, its goal is to foster greater civic participation in the upcoming election by equipping voters with valuable information about each candidate vying to serve Chicago residents.